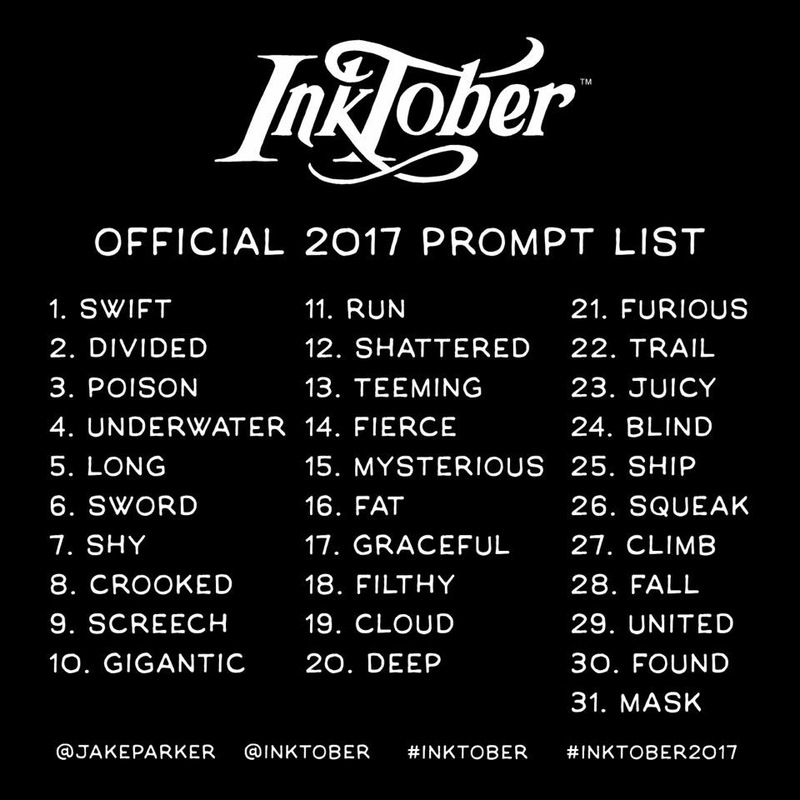 Day 16: ‘fat(so)’. 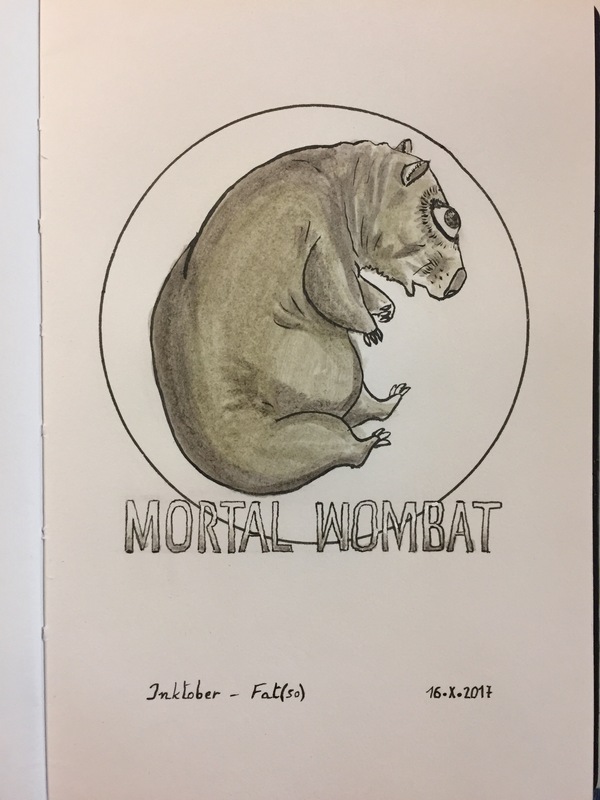 Grey India ink brush pen and black ink pin pen drawing of a wombat in a medallion, the words ‘Mortal Wombat’ underneath. Tribute to the logotype of the ‘Mortal Kombat’ video game I used to play in the 90s. 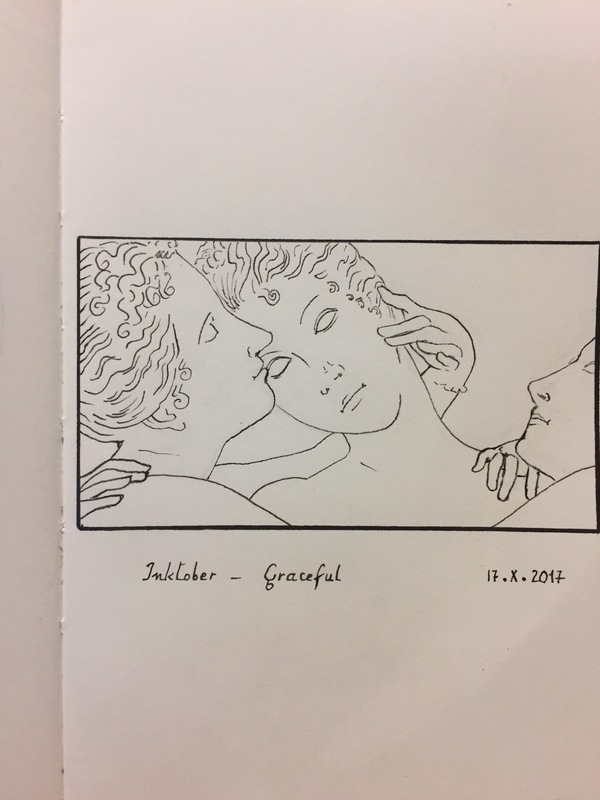 Day 17: ‘graceful’. Black ink pin pen drawing of a detail of Antonio Canova’s masterpiece sculpture ‘Three Graces’. Day 18: ‘filthy’. 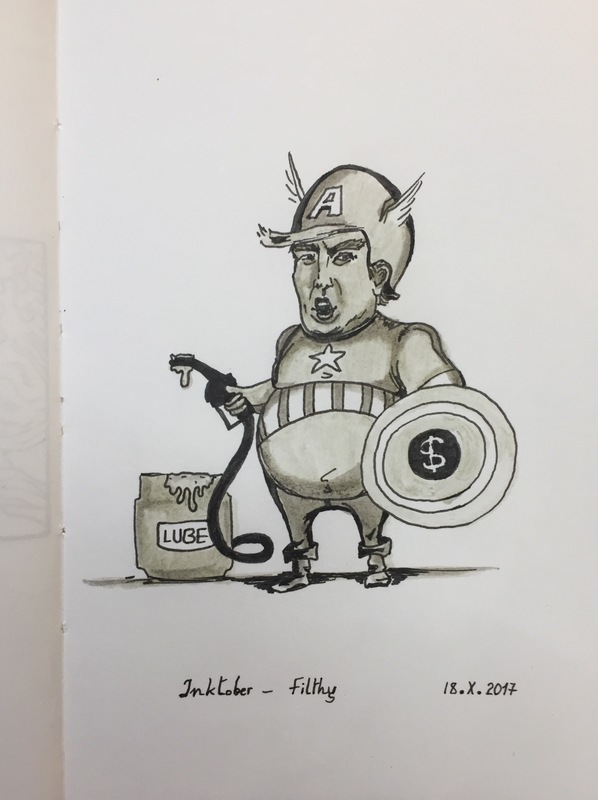 Grey India ink brush pen and black ink pin pen drawing of a cartoon showing President Donald Trump in a Captain America costume, a dollar sign on his shield, carrying a nozzle and hose of lubricant. Day 19: ‘cloud’. 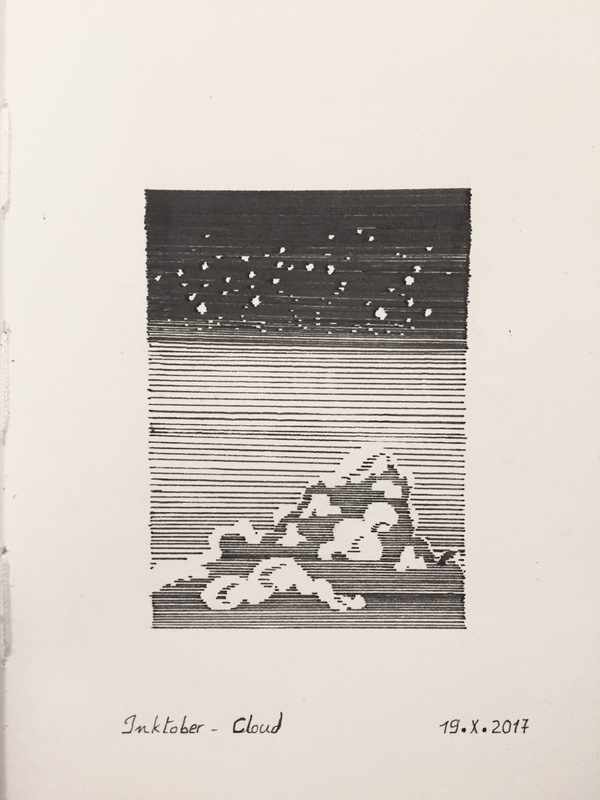 Black ink pin pen drawing of clouds, sky and stars, done with parallel straight lines. Day 20: ‘deep’. 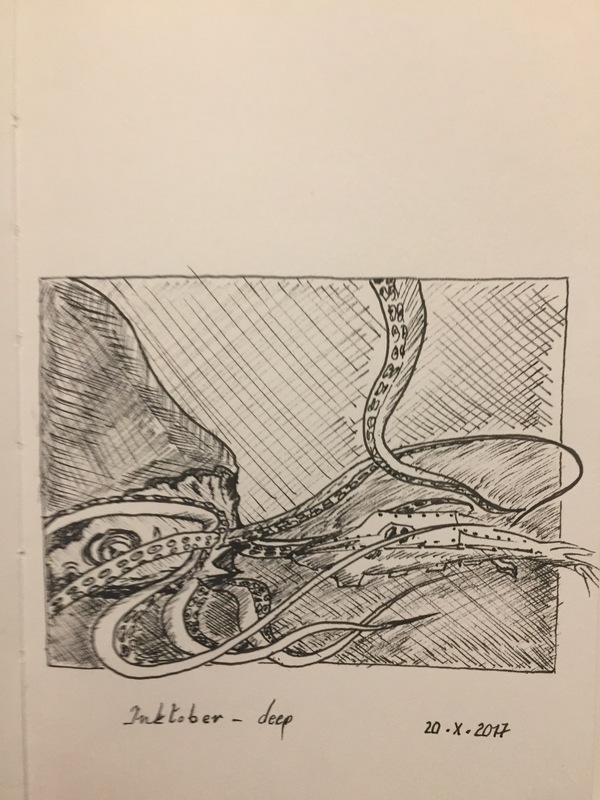 Black ink pin pen drawing of a giant squid grabbing the Nautilus.